Washington, DC — The General Aviation Manufacturers Association (GAMA) will announce the 2018 year-end aircraft shipment and billing numbers for the global general and business aviation industry at its annual press conference, on February 20. GAMA Chairman and Gulfstream Aerospace Corporation President Mark Burns will present the year-end numbers. 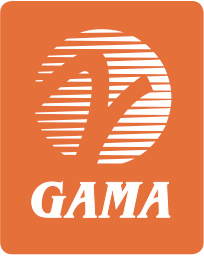 GAMA President and CEO Pete Bunce will lead a panel discussion with GAMA board members and member company leaders about important issues impacting the worldwide general aviation manufacturing and maintenance industry. Who: GAMA President and CEO Pete Bunce, GAMA Chairman and Gulfstream Aerospace Corporation President Mark Burns, GAMA Vice Chairman and Jet Aviation Senior Vice President and General Manager David Paddock, GAMA Board Member and Boeing Global Services Business Aviation and General Aviation Vice President William Ampofo and GAMA eVTOL Subcommittee Co-Chair and Terrafugia Co-Founder and Regulatory Affairs Anna Dietrich. Where: The National Press Club, 529 14th Street, NW, Washington, DC. Please take elevators to the 13th floor. A live webcast will be available for those who cannot attend. Registration: Register to attend on the GAMA website.